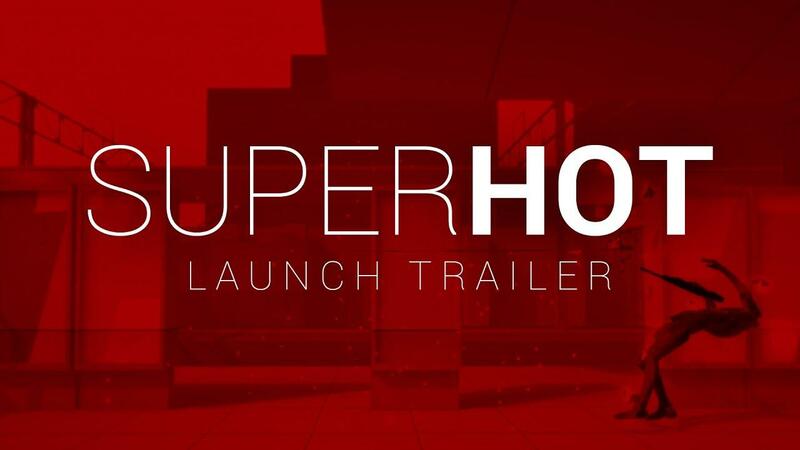 SUPERHOT, a first-person shooter where time moves extremely slowly until you move, released originally way back in February 2016, just got a rather nice update for Linux gamers. Fixed game crashing on Linux. Some Linux players couldn't run the game. Now they can. Yay. Spread the system achievement available for Linux players. Linux achievement hunters will be finally able to max out. They also said "This time we showed a bit more love towards Linux players." which is pretty nice to see. I remember the release well, as it really was quite buggy but I did enjoy it a lot. I still get annoyed by the constant "SUPER HOT SUPER HOT" but outside of that it's such a unique experience you really do need to try out. I do also still think the whole "time moves only when you move" is a bit of a naff description they gave it, as it's clearly not true. Splitting hairs though, it's such a minor thing. You can find it on Humble Store and Steam. Also on GOG but it hasn't got the update yet. IIRC, the story is broken if you don't set the LC_COLLATE=C environment variable (with the game depending on locale-specific file sorting to pick the next level). I wonder if they fixed that as well? Very nice to see the Linux love! I enjoyed this game very much! It only happens if you have a locale that sorts differently than the one on the developer's machines, though. I believe I used FR_fr.utf-8 (on slackware) back then. The VR version is a blast to play via Proton. I'm gonna buy this game when I get the Valve VR set this summer. That's too damn sure. Beamboom I'm gonna buy this game when I get the Valve VR set this summer. That's too damn sure. Keep in mind the VR is a separate purchase at the full $25 asking price. Ah! I didn't know that. Thanks! riusma Edit: worth mentioning that a previous update (1.0.9 from January 2019) brings key bindings support which is a great improvment (previously I was forced to change my keyboard layout from "fr" to "en" before launching the game)!